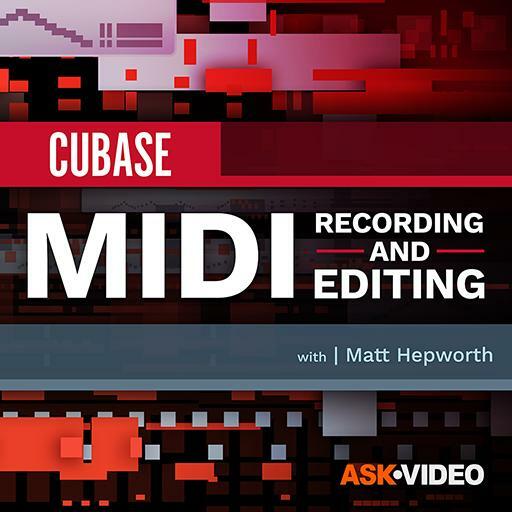 Cubase 10 102 - MIDI Recording and Editing . Where do you find the Edit History? Which tool allows you to audition an event by click-dragging across it? What Snap setting changes based on the zoom setting? What controller data gets recording when you press harder on a key? What Key Command is pressed to start the Re-record process? Where are the Preferences settings found on a Windows-based PC? Where did the concept of cycle recording start? What does the Key Editor look like? What does Keep Last refer to? Which tool would you use to create new notes in the Score Editor? By default, what do differently-colored events indicate in the Key Editor? How does the Info Line indicate that multiple events have been selected? Where does the mouse pointer need to be to reveal the tools with a Right/Ctrl-click? What is the default position of the MixConsole fader for a MIDI track? Which button would you click to see the takes recorded in Stacked Mode? What is a common occurrence for which the Auto-Save feature is useful? What track setting should you disable before performing an Audio Mixdown? Which type of connection is required for recording an external MIDI device? MIDI (or USB) and audio outputs. Which Key Commands move the blue position bar forward and backward? Upon which track type(s) can you record MIDI data? What indicator is shown in the Controller Lane when MIDI control data are present? What is the ‘trick’ to the oldest trick in the book? Which Standard MIDI File type has one track containing all MIDI channels? How do you draw new notes into the Drum Editor?